One of the (many) reasons I came to love and become a loyal Kristin Ess hair care fan since it's launch at Target, was The One Signature scent in the products. It's a scent like no other in beauty products I've used over the years. 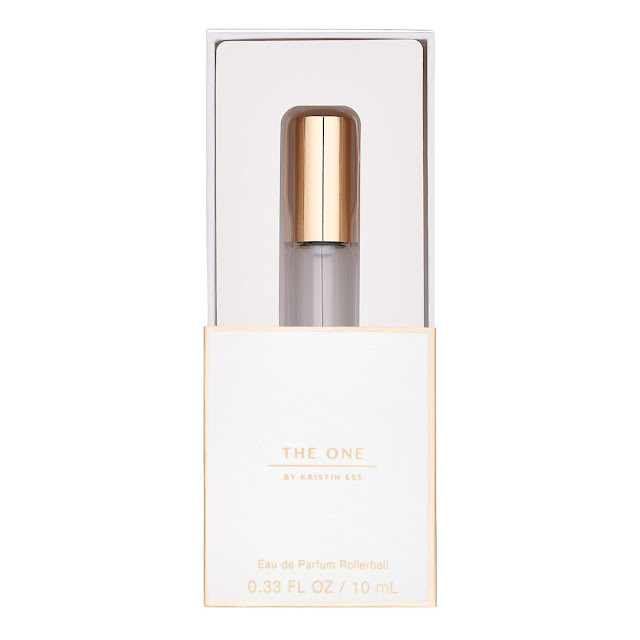 The One is a blend of pear water, violet, ambrette seed, new caledonia sandalwood and white amber. I love that it's fresh, slightly sweet and light, yet at the same time, lingers for hours and memorable. For this holiday season Kristin Ess has made many fans dreams come true* by creating The One Eau du Parfum Rollerball. Ess has created a unique fragrance by combining something as unique, sweet and fruity as pear water, with sandalwood and amber. Kristin Ess The One Eau du Parfum Rollerball is perfect to apply the scent no matter where you are and of course for travel. The Eau du Parfum concentration is strong enough to last over 8 hours on my skin. It warmed up nicely within the first hour of applying but never became overwhelming, and the soft, woody dry down in the evening was lovely. *People loved The One Signature scent so much they were spraying their clothing with the Kristin Ess The Leave In Conditioner to get their fragrance fix!